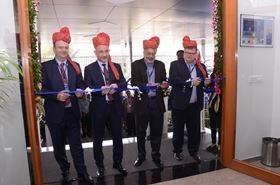 Grundfos has officially opened a new manufacturing facility in Dantali, Gujarat, India. 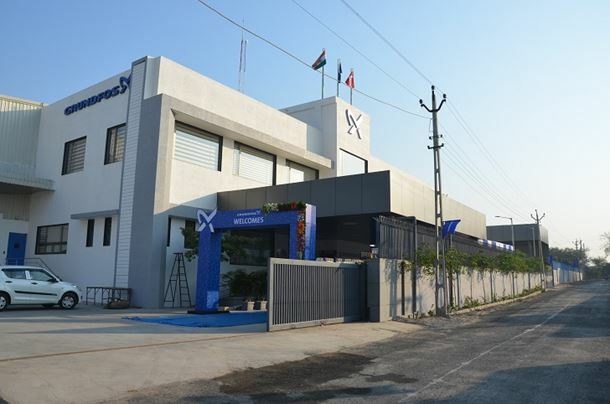 The new facility, which will be run by Grundfos Pumps India Pvt Ltd (Grundfos India), will supply stainless steel products, boosters and box products to India’s western and northern regions. Using a ‘Make in India’ model, the new plant will also export stainless steel components to Grundfos’s facilities in Europe, Americas and China. The state-of-the-art facility has been developed based on Grundfos’s designs and specifications and is spread across two acres. “This is a key strategic move for Grundfos India. By setting up this facility we strengthen our presence and network in the western & northern regions of India. We aim to achieve Rs2 billion by 2018 from this plant alone,” said Ranganath NK, managing director of Grundfos India. “Staying true to the company’s sustainability focus, this facility will allow Grundfos to save on transportation time and distance, thereby reducing the impact on the environment through these CO2 reductions. This also means that our customers in the west and north of India will get quicker deliveries of their products as well,” added Ranganath. Grundfos India, a wholly owned subsidiary of Grundfos Holdings, is responsible for sales of Grundfos products in India, Bangladesh, Bhutan, Maldives and Nepal. Currently, Grundfos India has more than 350 employees and works with 200 distributors and dealers, with 14 offices across India. Grundfos's new facility in India. Rebecca Martinez O’Mara has joined Grundfos Pumps Corp as vice president of Service for the Americas region. Grundfos is partnering with integrated event management solutions provider TaKaDu to accelerate the use of big data for greater water network efficiency.